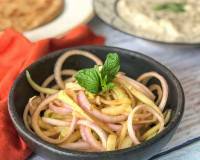 Peanut Cucumber Salad Recipe is a simple nutritious salad, that can be put together in a jiffy, as it hardly requires any preparation. 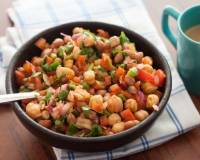 Crunchy peanuts combined with fresh vegetables with a simple dressing. 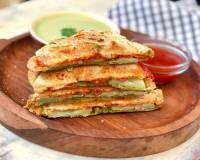 Serve it along with your meal or even just as a mid day snack. 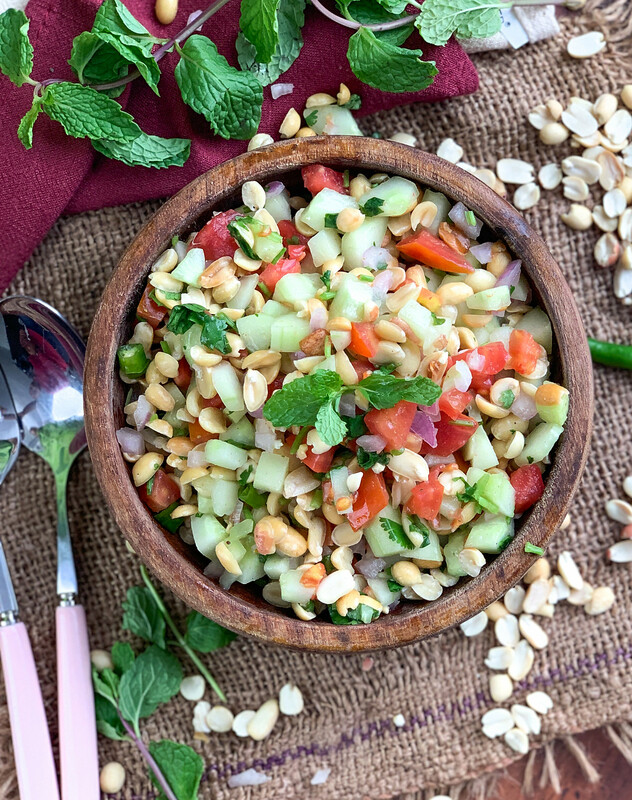 Peanut Cucumber Salad Recipe is a power packed salad as it has fresh ingredients like onions, tomatoes and cucumbers combined with peanuts. 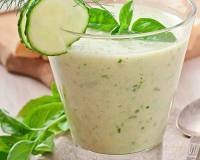 The dressing is rather simple, a splash of freshly squeezed lemon juice, some honey, and ofcourse salt and pepper. 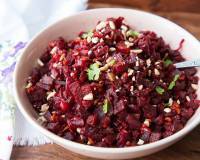 Serve it as a mid day snack in an office lunch box or as part of an everyday meal. 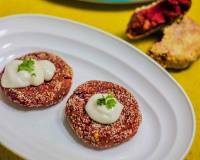 Serve Peanut Cucumber Salad Recipe along with Raw Papaya and Red Bell Peppers Stuffed Paratha, Boondi Raita Recipe Spiced With Black Salt and Lemon Pudina Curry Leaf Shikanji Recipe for a lovely afternoon meal. 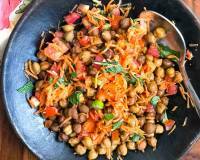 To begin making the Peanut Cucumber Salad Recipe, in a mixing bowl, combine the roasted peanuts, along with the finely chopped tomatoes, cucumber, onion, and green chilli. 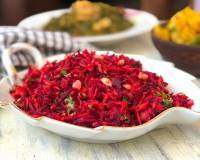 Now add salt to taste, chaat masala and lemon juice and toss Peanut Cucumber Salad well. Transfer the Peanut Cucumber Salad to a bowl and serve.